The key differences between Weebly and WordPress are features and ease-of-use. WordPress has been embraced by businesses and online stores because of its seemingly endless features and integrations, although it can be difficult for beginners. Weebly has found its niche in personal websites, largely for their simple visual editor that makes web design more accessible. If you’re making a business website, WordPress is a reliable, low-cost and scalable option. WordPress’s huge network of developers means you can build a website for just about any business use-case, with countless plugins and integrations supported. If you just want a simple 5-6 page business website, Weebly is easier to use and offers stronger customer support. The price is a little higher than WordPress, however, and there aren’t quite as many options for say, ecommerce, appointment booking or email marketing. A Note to Fit Small Business Readers: If you’re looking for a simple, low-cost business website, we designed free WordPress themes specifically for small business owners. Our goal was to combine the cost-saving and scalability of WordPress with the simplicity of DIY site builders like Weebly. In this guide, we’ll compare Weebly vs WordPress in full detail. You can click on a subject in the left column below to jump ahead, or simply continue reading. Industry Features — You could be a wedding venue that showcases your space with a 360° online tour, or coffee shop that lets users login and check their loyalty points. WordPress supports just about any website feature you could imagine, including integrations with many other business systems. Less Error Prone — WordPress themes are typically more hardwired compared to drag-and-drop editors like Weebly. While you get less control over the format and design of your site, it also means there’s less chance of screwing things up. To truly see how popular WordPress is for businesses, look no further than the numbers: Nearly 20% of all websites on the internet use WordPress, ranging from personal blogs on WordPress’ free plan, to media giants like Techcrunch and The New Yorker. If there’s one key downside to WordPress its that the editing tools can feel a bit dated. 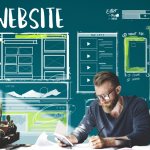 Newer competitors like Weebly have made website design easier for newcomers, which is why it tends to be used for personal and solo-entrepreneur’s websites. It’s Easy — Even if you’ve never designed a website before, Weebly works exactly like you’d expect. Your website is a blank canvas that gets filled with text, images and shapes simply by dragging and dropping onto the screen. Or, start with a pre-designed theme and modify it to your liking. All-In-One — Weebly provides everything you need to get your website up and running, With WordPress, you’re often dealing with seperate companies between your hosting, theme, and plugins. Having a single company to call when you need technical support is a blessing. This isn’t to say Weebly isn’t capable of supporting businesses. It has ecommerce, lead capture forms, for example, and most other essential business feature. There’s simply fewer options compared to WordPress. When working on a task like designing product pages, you’ll largely have to accept Weebly’s way of doing things. Both Weebly and WordPress offer free versions that be used to create a personal website or blog, but not much else. 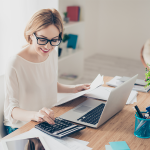 Most businesses will purchase a low-cost hosting plan so they can connect a custom domain (www.YourSite.com) and take advantage of premium design tools and customer support. Weebly starts at $8/month, whereas WordPress is $2.95/month. All Weebly plans (including the free version) give you the same main website builder tools, unlimited bandwidth and chat/email support. The free version is limited to 500 MB and does not allow custom domains— you have to use a Weebly subdomain instead (e.g. www.yoursite.weebly.com). Weebly also requires free users to display a Weebly banner ad at the bottom of their site. Paid plans give you unlimited storage, allow you to connect a custom domain and remove Weebly ads. The Pro plan adds features like video backgrounds and a website search tool. The Business adds even more ecommerce tools, like a shipping calculator and product reviews. See a full comparison of Weebly editions here. WordPress pricing is a little more complicated since there are multiple websites you can purchase hosting from. The ‘official’ hosting service at WordPress.com has a limited free version, and a low cost Personal edition. Both of which limit your site to basic blogging and informational pages. Our recommended provider is Bluehost, since you get a complete version of WordPress with full access to themes and plugins. The monthly price is lower than the other providers (staring at $2.95/month), and as a bonus, you get up to 5 professional email accounts and a custom .COM domain. If you’re interested in trying out Bluehost, we have a full guide on how to set up a WordPress website with Bluehost. Or, check out our article on WordPress pricing for a full overview of hosting, theme and plugin costs. Both Weebly and WordPress are user-friendly. You don’t need to know any programming to create a website, although it certainly helps to be tech savvy and/or have some graphic design experience under your belt. Weebly’s editor more visual, catering to those with a knack for art and design, or those who simply prefer to jump in and learn as they go. WordPress’ editor is more rudimentary, almost like a questionnaire you fill out with your business information that the system then translates into a website. Of course, if you aren’t comfortable designing the site yourself, it’s pretty easy to find a professional. On Upwork, you can hire a Weebly or WordPress developer starting around $40/hour. Weebly’s editor will be intuitive to anyone who has created a PowerPoint or Keynote presentation before. The basic concept is the same: You drag and drop photos, text boxes, and shapes onto the site. Then simply click to edit, resize, or reposition them. Everything on the site can be edited this way, including titles, paragraphs, buttons, videos, dividers and more. This makes it perfect for the design-spirited user, who wants to sculpt their vision without having to mess with any programming. On the other hand, it can be a bit cumbersome for the less graphically-minded. Deleting and re-building sections can take some time, and smaller errors like removing a text box or uploading a photo with the wrong dimensions can, at times, cause a chain reaction of other formatting issues. All things considered, Weebly is still the most intuitive web builder, which is why its embraced by individuals and solo entrepreneurs. Check out our Weebly review for a full overview of Weebly features, as well as user ratings. If Weebly is a visual website editor, WordPress is more like a questionnaire. You answer a series of questions about your business, like your tagline, hours, preferred color scheme, etc. and then watch in real-time as WordPress crafts your website. For the visually-oriented user, this can be frustrating. After picking a theme, you generally have minimal control over the site’s formatting, as design elements like shapes and buttons are hard-coded. You can edit their text and appearance from the left-hand menu, but you typically can’t resize or reposition them. On the other hand, WordPress websites can often be created faster, and with less chance of errors than Weebly sites, considering you aren’t fiddling with each element’s size and positioning. Even the visual-oriented user may choose WordPress for this benefit. Also important to note is that WordPress’ editor varies tremendously from one theme to the next. Some premium themes like Divi are more like Weebly featuring drag-and-drop capabilities. 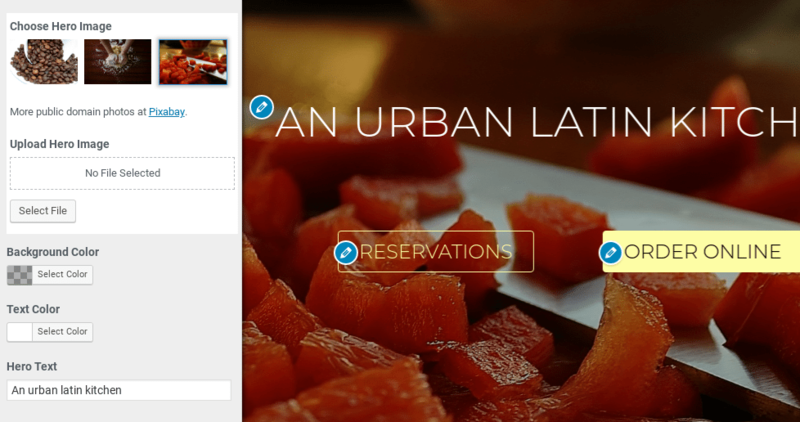 Others, like Fit Web Themes Business Edition or Restaurant Edition (pictured above) are more like the questionnaire, with a hard-coded design that is modified from the menu. These themes, along with Salon Edition, were designed by us at Fit Small Business specifically to make web design easier, less time consuming, and reduce the chance of formatting errors. Check out our WordPress review for a full overview of features and user ratings. Plugins are the extra features you add to make your website more functional. Oftentimes, plugins are used to make your website integrate with other business systems— like your CRM, email marketing software, or booking/appointment system. In these scenarios, the plugin would allow visitors to interact directly with your system, negating the need to manually transfer data. Other plugins have simpler functions, like displaying a calendar on your site, or blocking spam comments. Both Weebly and WordPress support a good range of plugins, but WordPress is the clear winner. There’s over 50,000 WordPress plugins compared to Weebly’s ~300. You’re bound to find just about any feature or integration you need. Not many “big brands” are represented. E.g. for email marketing, Constant Contact is supported but not Mailchimp or InfusionSoft. Many different brands represented in a given category. E.g. for email marketing, Constant Contact, Mailchimp and InfusionSoft and many more are supported. WordPress’ ecommerce platform WooCommerce is the most popular ecommerce system in existence. It’s used by roughly 30% of all online shops in the world, while Weebly accounts for only around 4%. The reason WooCommerce is so popular is because it’s available free to WordPress users and doesn’t take a cut of your online sales. It also gives you a lot of control over the format and organization of your products, although some features (like coupons) do cost extra. Weebly’s ecommerce is more basic and costs extra to set up (either as a monthly subscription, or a 3% fee on your product sales.) That said, it is a bit easier to use than WordPress/WooCommerce, which is why some businesses prefer it, especially when they’re only listing a handful of products. The Starter Edition ($8/month) lets you list up to 10 products. You need to pay a 3% Weebly fee along with credit card transaction fees, which are typically around 3% (or 6% total). The Business Edition ($25/month) lets you list unlimited products. There’s also no Weebly fees, and you get to sell digital goods, apply a shipping & tax calculator, offer coupon codes, along with other bonus features. Weebly has stronger customer support, primarily because they have a simpler product, and its all managed under the Weebly umbrella. With WordPress, you may find yourself calling 4 or 5 different companies, since hosting, themes and plugins are all typically provided separately. On the other hand, WordPress is so widely used, you can find answers to just about any question with a Google search. For example, we have detailed support guides for all our Fit Web Themes WordPress themes, and provide one-on-one support via our Q&A forum. Most themes and plugins will provide free resources like these. WordPress is generally better for business websites. But as you can see, there’s a lot of nuances to the decision. You might pick Weebly for a business website if you prefer their visual editor and don’t need to many advanced plugins. Likewise, you might pick WordPress for a personal website if you’re running a blog, which was WordPress’ initial specialty. Another important caveat to WordPress is that there’s thousands of different companies that design themes and plugins. All the benefits to WordPress go out the window with a poorly designed theme, so its essential to read user reviews, and try out free versions before making a purchase. You can also check out our own free WordPress themes designed by us at Fit Small Business, including Business Edition, Restaurant Edition and Salon Edition. Our themes are actively supported, and we’re happy to provide help via our Q&A forum.